processes in the human body? Taking air in and out of your lungs is essential to live, grow, move and do hard or tiring physical activities. The special process by which this occurs – the respiratory system – also allows you to do practical things, like talking, singing and blowing out candles. 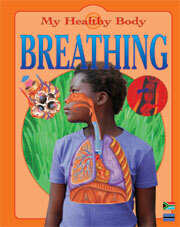 This book tells you all you need to know about your breathing system and how to keep it in good shape for a healthy body. 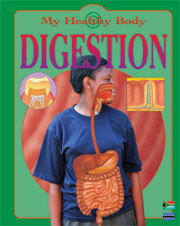 your digestive system and how to keep it in good shape for a healthy body. a heap of bones and jelly lying on the floor? Muscles allow your body to move and to do all sorts of things, such as kicking a ball or lifting a heavy load. The special system that makes these things possible – the muscles – also keeps your heart beating and helps you to breathe and talk. 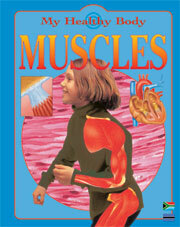 This book tells you all you need to know about your muscles and how to keep them in good shape for a healthy body. What do your muscles do? framework that allows you to bend and stretch and do all sorts of complicated movements? This special structure – the skeleton – stops you from collapsing in a heap on the floor! Your skeleton also protects many of your body’s internal organs. 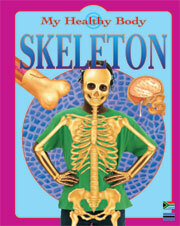 This book tells you all you need to know about your skeleton and how to keep it in good shape for a healthy body. 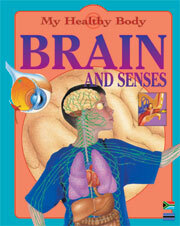 out more about your incredible brain and senses, and how to take good care of them. Did you know that the warm, red liquid that oozes out when you cut yourself is actually your body’s lifeline? Blood carries oxygen and nutrients around your body, and also removes harmful waste. Your heart is a hard-working pump that sends blood flowing around your body 24 hours a day, throughout your life. 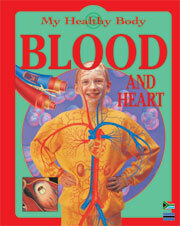 This book tells you all you need to know about your circulatory system and how to keep it in good shape for a healthy body. system and how to keep them in good condition for a healthy body. 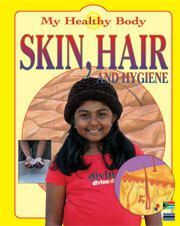 What use are skin and hair? 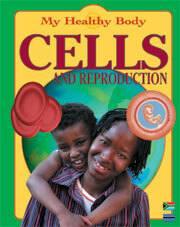 your cells and reproductive system and how to keep them in good condition for a healthy body.